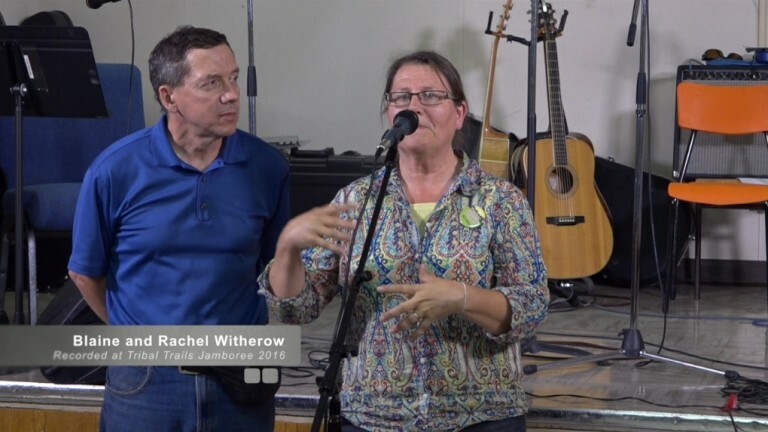 Blaine and Rachel Witherow talk about working behind the scenes in the Tribal Trails offices. Blaine works as a cameraman and video editor and many other jobs that ensure each weekly show is completed and ready for television. Rachel works in the office distributing followup literature, working with guests, participating in the prayer group, coordinating work with all the groups involved in Tribal Trails. Blaine encourages people to get involved in the Tribal Trails ministry.